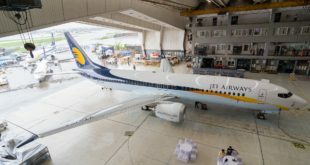 Starting this week, we will be providing readers with an intelligence brief recapping the major commercial aviation news from India, and the rest of the world. 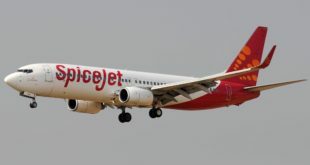 Cathay Pacific and Jet Airways both announced major changes to their operations on the Delhi- Hong Kong sector for IATA’s Winter 2011/2012. Cathay Pacific, while maintaining its two daily flights, will be eliminating the stop in Bangkok on one of the flights. That sector, which was operated with a Boeing 747-400 last winter has been replaced by service on an Airbus A340. The new flight schedules are as follows. Meanwhile, Jet Airways will be pushing both the outbound and inbound sectors on Hong Kong- Delhi back by about two hours. The flights will be operated with Airbus A330-200 aircraft as before. For Cathay Pacific, the entrance of IndiGo onto the Delhi-Bangkok sector was likely the major driver behind the switch. On a route that faces competition from 7 other carriers, and given Cathay’s relatively higher cost structure (versus the LCCs), the added revenue from the Bangkok stop was probably not enough to cover the added cost of doing so. 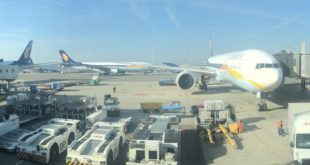 Replacing the 747-400 with A340s also removes first class product from the route, a recognition that Delhi- Hong Kong may be too short a sector for a true first class product. The new flights also connect more seamlessly into Cathay’s hub operations. Jet Airway’s move meanwhile, allows their flight to compete more effectively with one of Cathay’s two daily flights. It also allows them to shuffle around the A330 fleet as they prepare to begin serving Manila, perhaps even as a one stop via an East Asian point. From October of 2011, British Airways will have 6 new slot pairs at London-Heathrow. The 84 weekly landing slots were purchased from British Airway’s competitor British Midland Airways (bmi), which is a wholly owned subsidiary of Lufthansa. Slot purchases are probably the only way for British Airways to directly expand its operations at London Heathrow given the halting of work on a third runway at the world’s third busiest airport last year. Lufthansa has been struggling to make bmi a viable business, and perhaps the sale of slots and other assets will allow Lufthansa to regain some of its investment. Approval of the deal is required from European regulatory authorities. Previous Buddha Air Beechcraft 1900D crashes. All 19 aboard feared dead.